Two Belhaven College alumni were honored with the 2008-09 Teacher of the Year Award from the Mississippi Private School Education Association (MPSEA). 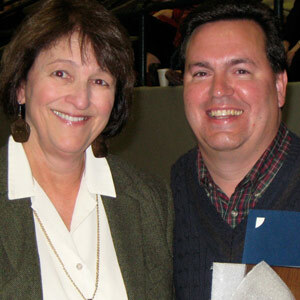 Cliff Powers ’87 and Elizabeth “Betty” Sugg ’69 received the Elementary and Secondary Teacher of the Year award, respectivesly. Both are Belhaven graduates. Cliff Powers, Kindergarten teacher, has taught at University Christian School in Flowood, Mississippi for three years. Betty Sugg, English instructor, has taught at Presbyterian Christian School in Hattiesburg, Mississippi for 22 years. The recipients were selected from nominees throughout the 122 member schools in the association. Selections are made based upon recommendations, classroom success, community and professional involvement, as well as their answers to five professional and educational related questions. Congratulations to these dedicated alumni who are living out the vision of Belhaven College: to prepare students academically and spiritually to serve Christ Jesus in their careers, in human relationships, and in the world of ideas.